Our employees give compassionate and exceptional care and service every day to others. 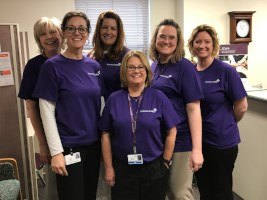 The great people we have here at Methodist Fremont Health are part of what makes us such a great organization. To help our employees when their own lives face unforeseen tragedy or hardship, the Fremont Health Foundation has an Employee Family Crisis fund.